Sun Life, in partnership with Manila Workshops, brings Wealth and Health Expo to be held on June 20, 2015 at SMX Convention Center in Pasay City (Manila), Function Room 4. Celebrity speakers, entrepreneurs and bloggers will be there to share their insights and inspire attendees. Learn how to create your own vision boards and get a chance to win huge prizes from Sun Life. Rikka Redrico, a blogger and Workshop Director for Manila Workshops, will be part of the program and will be briefing hundred of attendees on how to create a vision board. People will be creating a vision boards when they go home and for those who share it, Sun Life will choose a winner with a special prize. Admission is Free. 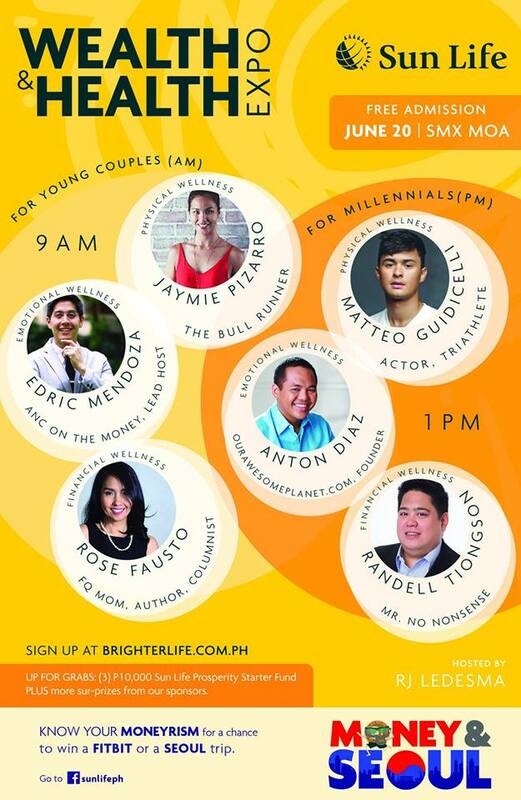 Register at Brighterlife.com.ph or via this link.